Is Where You Live on the List? We’ve got two Portlands (Maine and Oregon), Honolulu, Houston, Kingsport, Newport, Seattle, Salem, Princeton, Pittsburgh, Coamo, Carlsbad, Westchester and West Chester — to name just a few of the towns, cities and counties in the ever-growing AARP Network of Age-Friendly Communities. 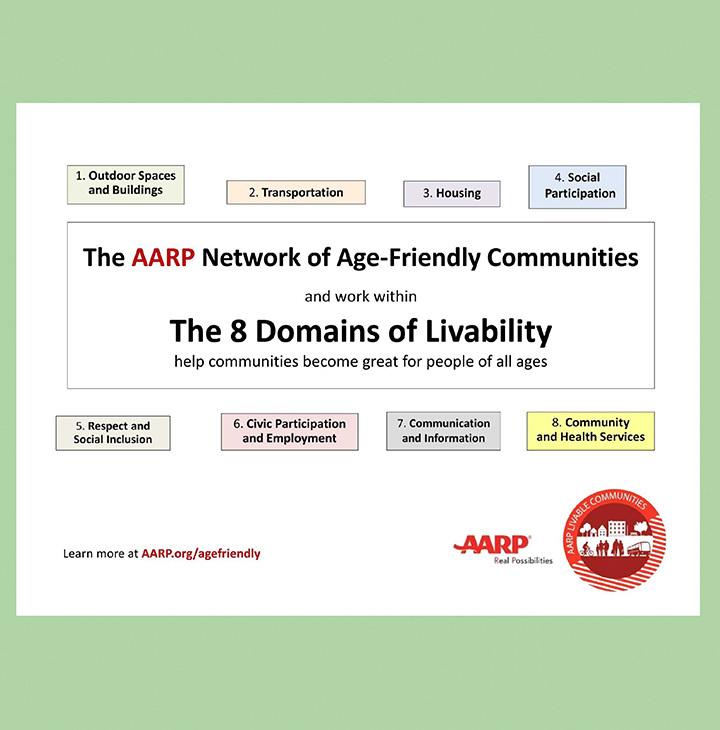 Communities of all sizes can use the “8 Domains” framework to become more livable for older adults and people of all ages. The next issue of the AARP Livable Communities Newsletter will be published next year! Look for us in your inbox on January 4.